Going to NOLA is on my bucket list, but I am not sure I can go during Mardi Gras. I don't do well in crowds. I didn't realize it started in January! You learn something every day! NOLA is one our favorite cities. We havent been during Mardi Gras but we'd like to. 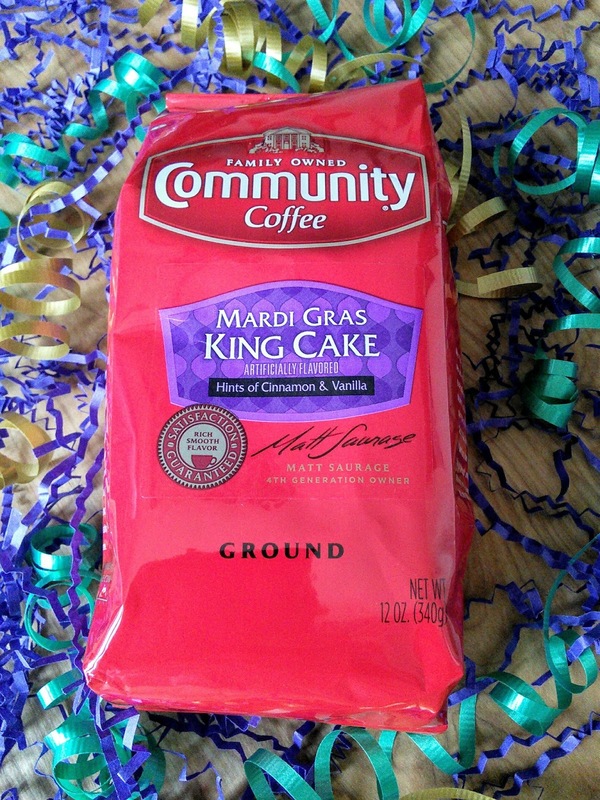 The vanilla/cinnamon flavored King Cake coffee sounds delicious! You'll have to let us know how your actual King cake turns out. That would be a fun one to make! I absolutely MUST have this coffee!! I LOVE King Cake, Mardi Gras, the history of NOLA and all you wrote about too. My daughter was lucky to get to go there a few years back on a college trip to help rebuild some homes there. Yes sadly they are STILL rebuilding. Oh and you are so lucky you got to eat etouffee IN New Orleans! I love etouffee! Thanks for letting me know about this coffee, will buy! 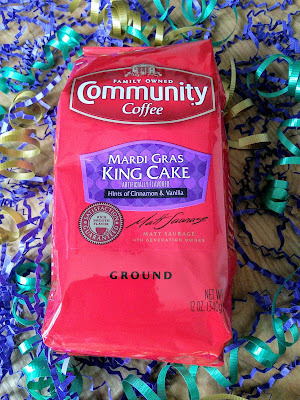 I like how they celebrated their tradition of the king cake and how the Mardi Gras King Cake coffee started. I wanted to try their Golden Caramel flavor sometime. New Orleans is awesome to go to, it's definitely the perfect place to drown yourself in culture, parties, and music. I love that you got to taste the cake, it sounds awesome! I love New Orleans, it's always full of life and culture! 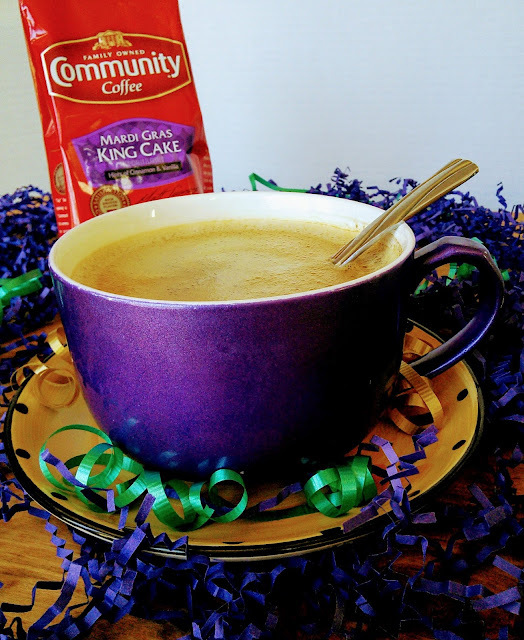 It would be nice to be there in Feb, but regardless, I'm glad you got to taste this lovely cake plus the coffee too! That coffee sounds like something I'd really enjoy. I've never been to Mardi Gras but have always wanted to attend the celebration. I NEED to go to Nola for Mardi Gras one of these years! It looks like so much fun! I had no idea about the bead thing touching the ground.. interesting! How fun! I didn't know this. I would love to celebrate Mardi Gras. I want to try some king cake. The Mardi Gras must be one exciting event to witness. I have never been to NOLA to witness this but I wish I could. Oh that alligator head photo scared me. I am not very fond of reptiles. LOL. Fantastic post, it must be such an amazing experience! I learnt something new today - NOLA! I always assumed that it was all just one big festival and had no idea that there was a specification on how long the beads had to be. Very interesting. Would love to try the coffee too! I will definitely have to look into purchasing some. 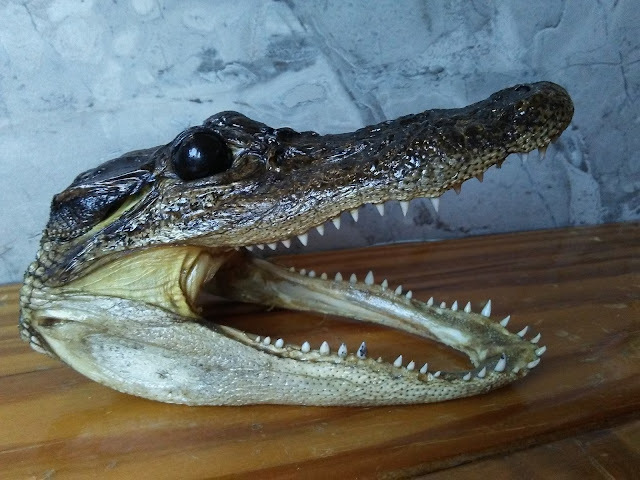 That alligator head sure gave me a fright, I didnt know people ate gator meat interesting. This coffee sounds delicious! I have never been to NOLA and I definitely need to make a point to visit one day, especially during Mardi Gras. Okay, now I must try this coffee! And this cake looks so scrumptious! Nothing better than a delectable treat with a great cup of Joe. Thanks for sharing!